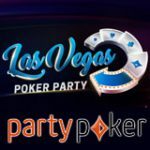 WPT Montreal Satellite Party Poker have prize packages to be won for the World Poker Tour Season XIII at the Playground Poker Club in Canada. 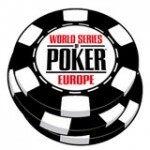 Qualifiers and satellites are running until 9th November for players to secure their seats to the WPT Montreal 2014. Canadian players can win their prize package for free by playing the weekly Canadian-only freerolls to win WPT Qualifier tournament tickets. There is also a monthly WPT freeroll where the winner gets a prize package valued at $5,000, the freeroll is open to Canadian players who have registered for any of the WPT Montreal qualifier tournaments. 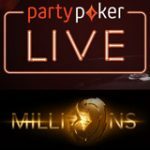 Start qualifying for free or play the WPT Montreal satellite Party Poker tournaments to win your prize package to this prestigious World Poker Tour event. 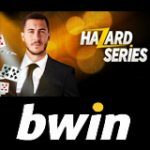 Package Package: worth $5,000 includes $3,600 buy-in and $1,400 for travel and spending. One out of ten players will win a package in the weekly WPT Montreal satellite on Party Poker, buy-in directly or play your way to the final satellite every Sunday until 9 November. 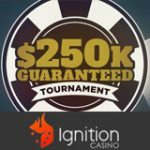 Prize: 1x WPT Montreal Satellite seat for every $500 in prize pool. 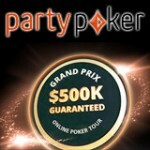 Prize: 1x WPT Montreal prize package for every $5,000 in prize pool. Prize package winners will automatically be registered for the 2014 WPT Montreal event at the Playground Poker Club, Canada between 20th - 26th November. Winners must arrange their own travel and acquire any documents needed to enter Montreal, Canada. PartyPoker players based in Canada can qualify for their seat to the World Poker Tour Montreal for free by playing the WPT Montreal Freerolls. 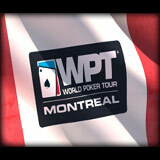 Prize: Top 15 players win WPT Montreal Qualifier tickets. Prize: 1st place WPT Montreal package, 2nd - 10th WPT Montreal Qualifier tickets. Qualify for a seat to the WPT Montreal Monthly Freeroll by playing at least one WPT Montreal qualifier tournaments on PartyPoker.